The main difference between SATA and eSATA is that SATA is used as an internal device connector while eSATA is used as an external device connector. SATA and eSATA are two technologies to transfer data between devices. SATA is cost effective and more flexible. eSATA is an extension of SATA. They have differences in speed, connector type, etc. SATA has a higher speed of data transfer. eSATA supports SATA protocols, but they are not compatible with each other as they perform different tasks. Therefore, it is difficult to determine the best out of these two options. SATA stands for Serial Advanced Technology Attachment. Another name is Serial ATA. It is a technology that helps to transfer data between computer buses and storage devices such as optical disks, hard drives, etc. The purpose of designing SATA is to overcome the limitations of IDE, which stands for Integrated Drive Electronics or Parallel ATA. Furthermore, SATA provides a faster data transferring rate than IDE, but it does not provide a high speed as like SAS. SATA is also more popular as it is inexpensive. Moreover, the required cable size is smaller. SATA is commonly used for applications such as personal computers, desktops and for data storage. eSATA stands for External Serial Advanced Technology Attachment. It is a variation of SATA that allows connecting and data transferring with external storage devices. It is also faster than USB and Firewire. This is why eSATA is commonly used for video editing, audio processing, and other media tasks. It supports the same protocols as SATA. Moreover, eSATA prevents damage against electrical discharge. Overall, it is a user-friendly external connector with cost-effective expansion storage. eSATA is an extended version of SATA. 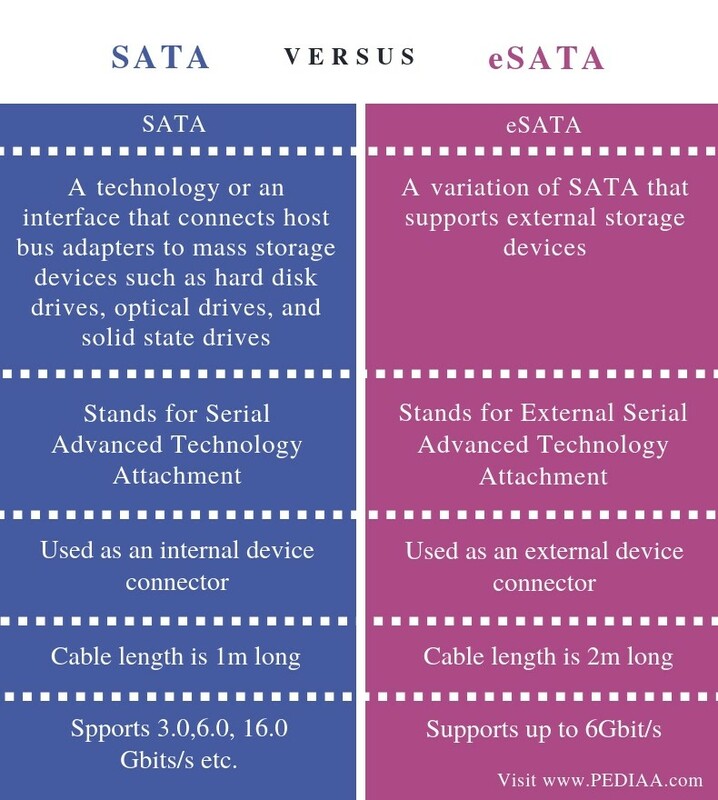 SATA is a technology or an interface that connects host bus adapters to mass storage devices such as hard disk drives, optical drives, and solid state drives whereas eSATA is a variation of SATA that supports external storage devices. Thus, this is the fundamental difference between SATA and eSATA. SATA stands for Serial Advanced Technology Attachment while eSATA stands for External Serial Advanced Technology Attachment. 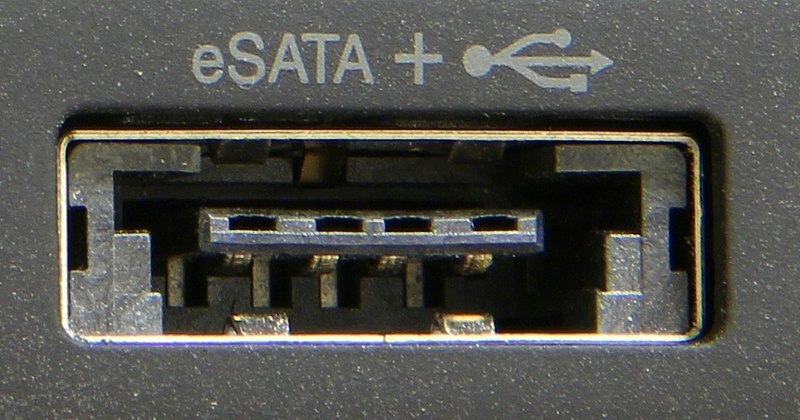 SATA is used as an internal device connector while eSATA is used as an external device connector. Hence, this is main difference between SATA and eSATA. In addition, SATA cable length is 1m long whereas eSATA cable length is 2m long. Also, one other difference between SATA and eSATA is their speed. While SATA supports 3.0, 6.0, 16.0 Gbits/s etc., eSATA supports up to 6Gbit/s. SATA helps to connect storage devices like hard disk, optical drives or solid state drive to the computer while eSATA is a version of SATA. Both of them perform different functionalities. 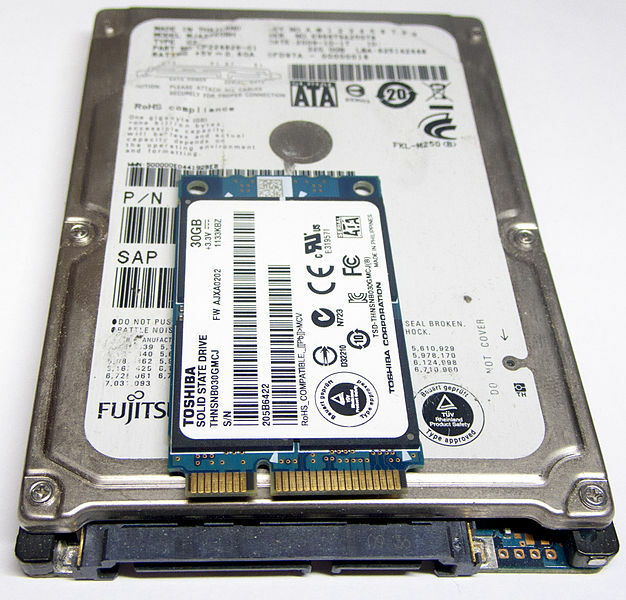 The main difference between SATA and eSATA is that SATA is used as an internal device connector while eSATA is used as an external device connector. 1.“Serial ATA.” Wikipedia, Wikimedia Foundation, 4 Jan. 2019, Available here. 2 “ESATA – External Serial Advanced Technology Attachment.” Router vs Switch vs Hub: What’s the Difference? Webopedia, Available here. 3. “ESATA.” Shingled Magnetic Recording: Boosting Capacity and Lowering Costs | SATA-IO, Available here. 4. “ESATA.” P2P (Peer To Peer) Definition, Available here.